Department of Healthcare Management and Policy, University of Surrey, Guildford. Background The National Institute for Health and Care Excellence (NICE) recommends postpartum and annual monitoring for diabetes for females who have had a diagnosis of gestational diabetes mellitus (GDM). Aim To describe the current state of follow-up after GDM in primary care, in England. Design and setting A retrospective cohort study in 127 primary care practices. The total population analysed comprised 473 772 females, of whom 2016 had a diagnosis of GDM. Method Two subgroups of females were analysed using electronic general practice records. In the first group of females (n = 788) the quality of postpartum follow-up was assessed during a 6-month period. The quality of long-term annual follow-up was assessed in a second group of females (n = 718), over a 5-year period. The two outcome measures were blood glucose testing performed within 6 months postpartum (first group) and blood glucose testing performed annually (second group). Results Postpartum follow-up was performed in 146 (18.5%) females within 6 months of delivery. Annual rates of long-term follow-up stayed consistently around 20% a year. Publication of the Diabetes in Pregnancy NICE guidelines, in 2008, had no effect on long-term screening rates. Substantial regional differences were identified among rates of follow-up. Conclusion Monitoring of females after GDM is markedly suboptimal despite current recommendations. Similar studies have been performed in the US, Canada, Australia, and several European countries, but data in the UK are limited to a single survey study. Here objective data on GDM follow-up are provided. Short-term follow-up rates were found to be comparable with the low rates reported in Europe and Canada, but lower than the US, and considerably poorer than Australia where a national register is in operation. To improve screening in the UK, a more accurate understanding of current screening rates and predictors of poor concordance with screening is required.19 This study measures current postpartum and annual screening rates in England and analyses predictors of concordance with follow-up in this population. The impact of the NICE guidelines published in 2008 on screening rates is also analysed. Data collected for the Quality Improvement in Chronic Kidney Disease (QICKD) trial35 from 127 primary care practices across England were used to identify and follow-up females with GDM. The trial data comprise routinely collected primary care records between January 2006 and December 2010, from a nationally representative sample of urban, suburban, and rural practices in London, Surrey, Sussex, Leicestershire, the West Midlands, and Cambridgeshire.36 Additional historical patient records were also available for each person prior to these dates. These data were extracted from primary care practice databases using MIQUEST (Morbidity Information Query and Export Syntax) software. MIQUEST is a Department of Health sponsored data extraction tool that works across all commonly used primary care software packages. Of 138 practices approached, 11 were unable to participate (three fell outside of participating localities, four withdrew from the study and four failed to consent in time). Two groups of females were defined: short-term and long-term follow-up groups. All females with GDM identified between January 2006 and December 2009 were used as the short-term follow-up group. This group was followed-up for 6 months postpartum to identify evidence of serum glucose testing in the community. All females diagnosed with GDM between January 1990 and December 2005 were used as the long-term follow-up group. Annual follow-up for this long-term group was then analysed over a 5-year period; between January 2006 and December 2010. Females were excluded if they had been diagnosed with diabetes before the recorded diagnosis of GDM, or if they were aged >45 or <15 years at the time of recorded diagnosis. Females who were already included in the postpartum short-term follow-up group were excluded from the long-term follow-up group. In the long-term follow-up group females were excluded if they developed diabetes between their time of diagnosis and the 5-year follow-up window. Both groups included females with more than one episode of GDM. Records on GP practice leavers and deaths were used to identify loss to follow-up. Appropriate postpartum follow-up was defined as any recorded glucose testing within 6 months of delivery. Appropriate long-term follow-up was defined as any recorded glucose testing performed during each year (2006–2010 inclusive) for those females previously diagnosed with GDM. All recorded data on glucose testing were analysed to identify appropriate follow-up and incident cases of diabetes. Glucose test results included random blood glucose, fasting blood glucose, and oral glucose tolerance results. Numerical data were refined before categorisation, to identify inputting errors, by removing numeric values above or below realistic limits from the dataset. Analysis was performed using the multilevel package lme4 within the statistical software package R). A multilevel logistic regression model was built to identify predictors of lack of follow-up. Females were nested within primary care practice region using a random intercept. Model selection was performed using the approach described by Maindonald and Braun39 by minimising the Bayesian information criterion (BIC) using backward stepwise elimination. A P-value <0.05 was considered statistically significant for predictor variables. Model validation was performed using receiver operating characteristic (ROC) curves and Hosmer-Lemeshow testing. The total population analysed comprised 473 772 females, of which 2016 had a recorded diagnosis of GDM. Females were excluded (n = 354) if they had been diagnosed with diabetes before this diagnosis or if they were >45 or <15 years at the time of diagnosis. Of the 1662 remaining females, 788 (47.4%) were eligible for short-term follow-up and 719 (43.3%) were eligible for the long-term follow-up group. A total of 42 462 pregnancies were recorded in the population between January 1990 and December 2010. The prevalence of GDM in pregnancy was 3.9%. The mean age of females at diagnosis of GDM was 32.6 ± 5.3 years (standard deviation). The mean BMI was 28.3 ± 6.3 kgm-2. Asian females were overrepresented (18.9%) compared with the sample population by a factor of 2.5 (7.7% of study population). Of the 788 females in the short-term follow-up group, 146 (18.5%) had glucose testing within the 6-month follow-up period. If the window for follow-up is extended to 1 year, this figure rises to 26.2% (Figure 1). During the follow-up period three females developed diabetes and seven had abnormal blood glucose results (Table 1). No females died during the follow-up period. Three females left their GP practice during the 6 months’ postpartum study period; therefore, follow-up screening could not be performed. Time until glucose testing over the first year after delivery in a group of 788 females with gestational diabetes mellitus. Substantial regional differences were found among screening rates with lowest rates of screening in Surrey and London and highest rates in Leicestershire and the West Midlands (Figure 2a). No relationship was identified between ethnicity, smoking status, alcohol intake, BMI, or deprivation index, and lack of short-term follow-up (not in table). (a) Proportion undergoing short-term follow-up by region. (b) Proportion undergoing one or more long-term follow-up screening tests between January 2006 and December 2010 by region. Error bars represent 95% CIs. Of the 146 glucose tests performed during postpartum screening, the type of test performed was not recorded in 95 (65%) cases, fasting glucose in 46 (32%), and oral glucose tolerance in five (3%). Annual long-term screening rates remained consistently around 20%, between 2006 and 2010 (Table 2). Half of the group (49.1%) had no glucose testing during the 5-year period. Only three (0.4%) females were followed-up every year (Table 3). Seven females developed overt diabetes and 32 had abnormal glucose results. Thirty-three (4.5%) females left their GP practice during the long-term study period. Of these, 14 had no follow-up before leaving. There was no difference between the rates of screening before and after the introduction of the 2008 NICE guidelines. Significant regional differences were also found among rates of long-term follow-up, with Cambridgeshire and the West Midlands having the highest rates and London and Surrey the lowest (Figure 2b). Adjusting for regional differences using a multilevel model (Table 4), Asian females were more likely to return for long-term follow-up, odds ratio (OR) 1.66 (95% confidence interval [CI] = 1.02 to 2.72) and current smokers were less likely to return, OR 0.56 (95% CI = 0.35 to 0.89). No significant relationship was found with alcohol intake, BMI, time since diagnosis, or deprivation status. Therefore, these variables were removed from the logistic regression model. Of the 663 glucose tests performed during the 5 years of follow-up, the type of test performed was not recorded in 498 (75%) of cases, fasting glucose in 159 (24%), and oral glucose tolerance in six (1%). For females in England who have been diagnosed with GDM, both long-term and short-term follow-up screening is poor. 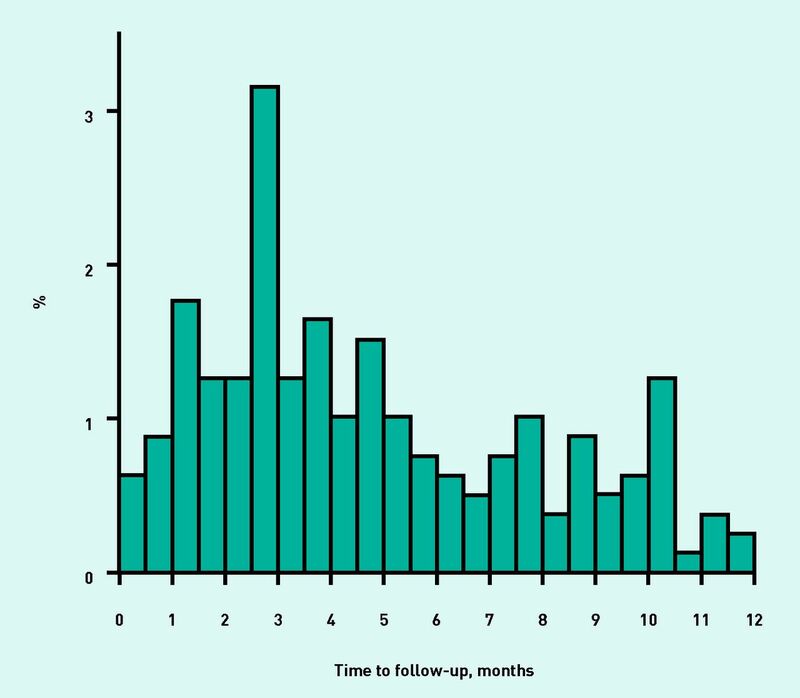 Most females (81.5%) with GDM receive no short-term follow-up. Of those that do, screening is often not performed at 6 weeks’ postpartum, as recommended, but instead occurs throughout the year with a cluster at around 3 months. Long-term follow-up remained around 20% over the 5 years observed, with no appreciable rise after the release of the 2008 NICE guidelines. A noteworthy proportion of females screened were found to have diabetes or abnormal blood glucose results at long-term and short-term follow-up. Significant regional variations exist in follow-up rates. There are several potential explanations as to why screening rates are so low. It is known that a proportion of females are currently lost to follow-up because of ambiguity between primary and secondary care responsibilities for screening.33 Reasons for this ambiguity include poor communication and lack of agreed protocols, and could be remedied by clearer clinical guidance.40 Another explanation may be a perception among doctors that GDM follow-up is not a clinical priority.33 It is evident that NICE guidelines have not improved screening rates. This may be because of lack of adequate guideline awareness and time pressures faced by GPs. The presence of significant regional variation in follow-up suggests that healthcare factors or population demographic factors are important determinants of follow-up. It may be that in regions with a predominantly older population or with smaller practices the number of females requiring screening is small and therefore may be overlooked. Alternatively, some regions may have a greater rate of routine blood testing overall and so succeed in identifying abnormal glucose results incidentally. Additionally, Leicestershire and the West Midlands have a large Asian population. As Asian ethnicity is a known risk factor for GDM and developing diabetes post-GDM, it may be that GPs in these areas have a greater awareness of the need to screen. Further research in this area is needed. A strength of the present study is that data were collected from across England, providing a nationally representative sample. Using routinely collected data also provides greater objectivity than achieved in survey studies. However, there are several disadvantages of using routinely collected data.41 First, the older data used may have pre-dated the introduction of electronic record-keeping in many practices and therefore are more likely to be incomplete, and hence underestimate the number of females with GDM. This may also mean that some of the females identified may have had earlier GDM episodes that were not recorded. For this reason it was not possible to look for associations between the number of GDM episodes and loss to follow-up. Secondly, although laboratory investigations are automatically coded into GP records, it is up to clinicians to record ‘bedside’ investigations such as glucose finger prick testing. This may result in underestimation of the number of glucose tests performed. However, glucose finger prick testing is not recommended for diagnostic investigations and therefore would not constitute correct follow-up. Additionally, the type of glucose test was not recorded in most cases. Where the type of test was not coded it was assumed to be a random blood glucose sample. Diabetes diagnostic levels for a random blood glucose are higher than those for an FPG and it is therefore likely the number of females found to have diabetes at follow-up has been underestimated. This is especially so as most UK GPs report using FPG as their screening test of choice.33 However, the proportion of females developing diabetes after GDM has already been thoroughly investigated elsewhere6 and was not a key outcome of the present study. Because of the small number of females with GDM included in the analysis, the present study may have been underpowered to identify minor correlations between potential predictors and lack of follow-up. Data on family history of diabetes were absent and therefore it was not possible to analyse this as a factor for predicting likelihood of follow-up. There are limited published data on the long-term follow-up of females who have had GDM. Rates of up to 35% have been reported in the US24 and 39% in the UK,33 but again only through self-reported survey responses. This is somewhat better than the annual long-term screening rates found here from patient records: around 20%. Early detection of pre-diabetic states and established diabetes requires systematic follow-up of females post-GDM. Introducing lifestyle changes and pharmacological agents in pre-diabetic states can delay or prevent the onset of diabetes among these individuals.15–17 As suboptimal screening leaves a significant number of females with undiagnosed diabetes and pre-diabetic states, these opportunities for early intervention are missed. Furthermore, the long-term healthcare burden of untreated diabetes among these females is especially high because of their young age. The present study shows that substantial improvements in post-GDM screening rates are required in England, despite the release of national guidelines. Effective ways of improving screening rates are urgently needed in primary care. Short-term follow-up appears to be done haphazardly at present with no set date of recall. Performing all short-term follow-up in the community, perhaps as part of the 6-week postpartum check, would remove this ambiguity. Strategies to improve long-term follow-up could include compiling a GDM recall register, setting up computer alerts to facilitate annual recall (then informing females in writing of their need to be screened), and the inclusion of screening in pay-for-performance programme targets (Quality and Outcomes Framework in the UK). Further research into patient and healthcare factors that predict lack of follow-up would be beneficial to guide strategies to improve follow-up rates. Ongoing monitoring of this situation is required to ensure screening rates improve. Postnatal monitoring of females with gestational diabetes is markedly suboptimal despite current recommendations. Urgent improvement is needed in the quality of follow-up in this population. The authors would like to thank Dr Dale Staff at Old Bridge GP practice for conceiving the original idea for this paper. No external funding was required for this analysis. Data collection for the original QICKD trial was sponsored by The Joint Research Office of St George’s – University of London and St George’s Healthcare Trust. All data was anonymised at the point of collection. No ethics approval was required for this analysis. The original QICKD study was approved by the Oxford Research Ethics Committee (Committee C). Revision received August 20, 2013. (1999) Definition, Diagnosis and Classification of Diabetes Mellitus and its Complications Part 1: Diagnosis and Classification of Diabetes Mellitus (WHO, Geneva). (2008) Diabetes in Pregnancy: Management of diabetes and its complications from preconception to the postnatal period (RCOG Press, London). (2004) Increasing incidence of diabetes after gestational diabetes: a long-term follow-up in a Danish population. Diabetes Care 27(5):1194–1199. (2002) Screening for gestational diabetes: a systematic review and economic evaluation. Health Technol Assess 6(11):1–161. (1992) High prevalence of gestational diabetes in women from ethnic minority groups. Diabet Med 9(9):820–825. (2009) Antepartum glucose tolerance test results as predictors of type 2 diabetes mellitus in women with a history of gestational diabetes mellitus: a systematic review. Gender Med 6(Suppl 1):109–122. (2009) Risk factors for type 2 diabetes among women with gestational diabetes: a systematic review. Am J Med 122(3):207–214 e4. (2009) Type 2 diabetes mellitus after gestational diabetes: a systematic review and meta-analysis. Lancet 373(9677):1773–1779. (2002) Gestational diabetes and the incidence of type 2 diabetes: a systematic review. Diabetes Care 25(10):1862–1868. (2008) Who returns for postpartum glucose screening following gestational diabetes mellitus? Am J Obstet Gynecol 198(4):404 e1–6. (2008) Glucose intolerance in pregnancy and future risk of pre-diabetes or diabetes. Diabetes Care 31(10):2026–2031. (1999) Effects of new criteria for type 2 diabetes on the rate of postpartum glucose intolerance in women with gestational diabetes. Am J Obstet Gynecol 181(3):610–614. (2009) Performance characteristics of postpartum screening tests for type 2 diabetes mellitus in women with a history of gestational diabetes mellitus: a systematic review. J Womens Health (Larchmt) 18(7):979–987. (2002) Clinical predictors for a high risk for the development of diabetes mellitus in the early puerperium in women with recent gestational diabetes mellitus. Am J Obstet Gynecol 186(4):751–756. (2002) Acarbose for prevention of type 2 diabetes mellitus: the STOP-NIDDM randomised trial. Lancet 359(9323):2072–2077. (2002) Reduction in the incidence of type 2 diabetes with lifestyle intervention or metformin. New Engl J Med 346(6):393–403. (2001) Prevention of type 2 diabetes mellitus by changes in lifestyle among subjects with impaired glucose tolerance. New Engl J Med 344(18):1343–1350. (2008) Diabetes in pregnancy: Management of diabetes and its complications from pre-conception to the postnatal period (NICE). (2010) Postpartum screening following GDM: how well are we doing? Curr Diabetes Rep 10(3):235–241. (2008) Obstetricians seldom provide postpartum diabetes screening for women with gestational diabetes. Am J Obstet Gynecol 198(5):528 e1–5. (2008) Postpartum screening for diabetes after a gestational diabetes mellitus-affected pregnancy. Obstet Gynecol 112(4):868–874. (2009) Trends in postpartum diabetes screening and subsequent diabetes and impaired fasting glucose among women with histories of gestational diabetes mellitus: A report from the Translating Research Into Action for Diabetes (TRIAD) Study. Diabetes Care 32(2):269–274. (2006) Missed opportunities for type 2 diabetes mellitus screening among women with a history of gestational diabetes mellitus. Am J Publ Health 96(9):1643–1648. (2009) Postpartum diabetes screening: adherence rate and the performance of fasting plasma glucose versus oral glucose tolerance test. Diabetes Care 32(12):2242–2244. 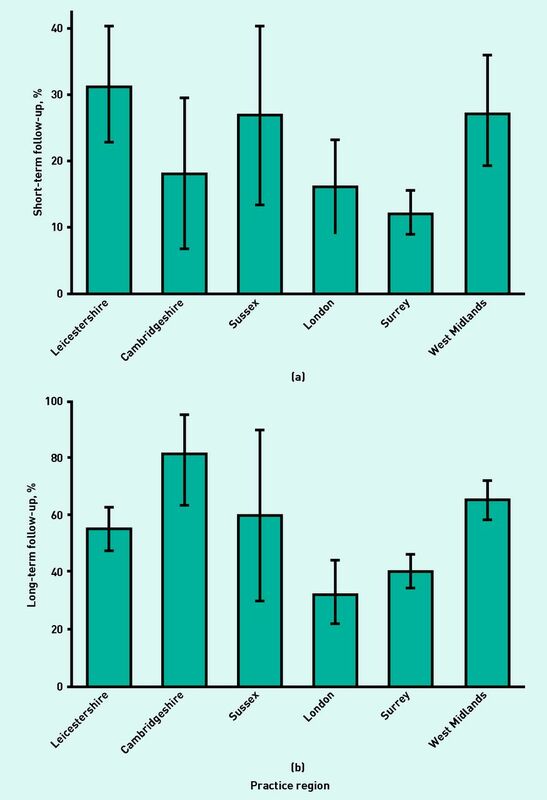 (2006) Rates of postpartum glucose testing after gestational diabetes mellitus. Obstet Gynecol 108(6):1456–1462. (2005) Postpartum diabetes screening in women with a history of gestational diabetes. Obstet Gynecol 106(6):1297–1303. (2009) Postpartum glucose tolerance screening in women with gestational diabetes in the state of North Carolina. N Carolina Med J 70(1):14–19. (2004) Management of diabetes mellitus by obstetrician-gynecologists. Obstet Gynecol 103(6):1229–1234. (2009) Postnatal testing for diabetes in Australian women following gestational diabetes mellitus. Aus New Zealand J Obstet Gynaecol 49(5):494–498. (1999) Failure to obtain follow-up testing for gestational diabetic patients in a rural population. Obstet Gynecol 93(5 Pt 1):734–737. (2007) Summary and recommendations of the Fifth International Workshop-Conference on Gestational Diabetes Mellitus. Diabetes Care 30(Suppl 2):S251–260. (2009) Standards of medical care in diabetes--2009. Diabetes Care 32(Suppl 1):S13–61. (2011) Missed opportunities for diabetes prevention: post-pregnancy follow-up of women with gestational diabetes mellitus in England. Br J Gen Pract 61(591):e611–619. (2010) Improving on analyses of self-reported data in a large-scale health survey by using information from an examination-based survey. Stat Med 29(5):533–545. (2013) Audit-based education lowers systolic blood pressure in chronic kidney disease: the Quality Improvement in CKD (QICKD) trial results. Kidney Int 84(3):609–620. (2009) The QICKD study protocol: a cluster randomised trial to compare quality improvement interventions to lower systolic BP in chronic kidney disease (CKD) in primary care. Implementation science 4:39. (2010) A method of identifying and correcting miscoding, misclassification and misdiagnosis in diabetes: a pilot and validation study of routinely collected data. Diabet Med 27(2):203–209. (2008) The English Indices of Deprivation 2007 (Department for Communities and Local Government). (2010) Data analysis and graphics using R: an example-based approach (Cambridge Series in Statistical and Probabilistic Mathematics) (Cambridge University Press). (2004) Gestational diabetes: implications of variation in post-partum follow-up criteria. Eur J Obstet Gynecol Reprod Biol 113(2):149–153. (2006) The use of routinely collected computer data for research in primary care: opportunities and challenges. Fam Pract 23(2):253–263. (2009) Do postal reminders increase postpartum screening of diabetes mellitus in women with gestational diabetes mellitus? A randomized controlled trial. Am J Obstet Gynecol 200(6):634 e1–7. (1997) Studies of postnatal diabetes mellitus in women who had gestational diabetes. Part 2. Prevalence and predictors of diabetes mellitus after delivery. Aus New Zealand J Obstet Gynaecol 37(4):420–423. (2003) Did publication of a clinical practice guideline recommendation to screen for type 2 diabetes in women with gestational diabetes change practice? Diabetes Care 26(2):265–268.